With Odin Sphere Leifthrasir set to release in Japan in 10 days, Atlus has started a countdown series featuring guest illustrations and messages for the upcoming Vanillaware remake. 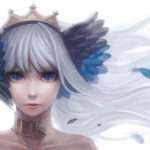 The featured guest illustrator for today is Take, who is responsible for the art in the Zaregoto Series and for Katanagatari. 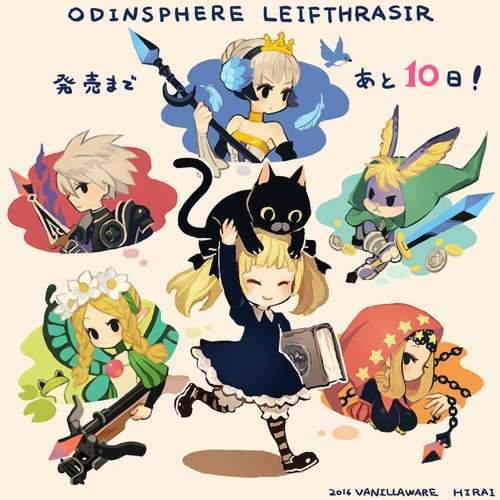 Congratulations on the release of Odin Sphere Leifthrasir! 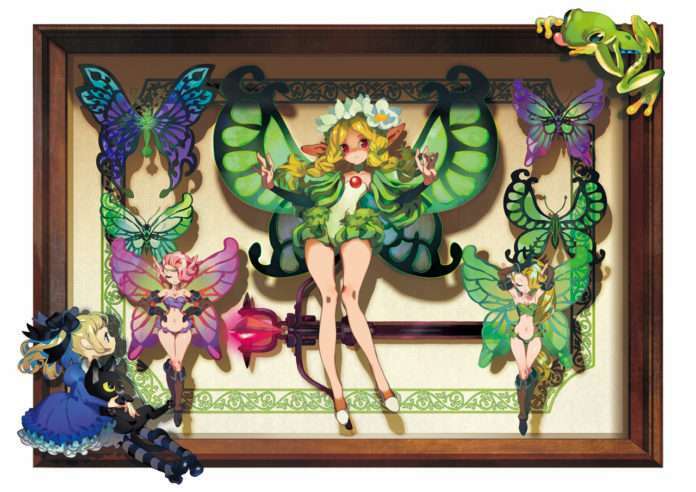 I love the colorful worlds of Vanillaware games. Why not see Mercedes as a specimen display box decoration? I was allowed to draw this wild idea. There is no needle because it would be too pitiable. The artist’s Twitter handle is: @takegarou. His gallery can be found here. 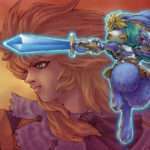 Tomorrow’s illustration for 9 days until release will feature Brownie Brown founder Shinichi Kameoka, who has worked as an illustrator on games such as Seiken Densetsu: Legend of Mana and Magical Vacation. An additional illustration to celebrate Odin Sphere Leifthrasir‘s upcoming launch was released by Vanillaware designer Yukiko Hirai, via the Vanillaware Twitter account.